Things to see and do in and around the Parish of Kiltullagh. … is well worth a visit. The view from the hill is beautiful. To get to Killtullagh from Ballinlough – take the Ballyhaunis road and then take the first left outside Ballinlough – just before Carrick school. Continue on this road for abput 2 miles. You will see Kiltullagh ahead of you to your right. Take a right at the crossroads and the entrance to the field is at the bottom of the hill. … is a lovely spot for fishing or just for a picnic by the water’s edge. Brown trout is the main type of fish in the Lake. There is easy access to the lake on the southern shore with a boat harbour , pier and a car park and picnic area. The Shannon Fishery Board website has details of the fishing. From Ballinlough the lake is signposted – take the road which lies between the Whitehouse hotel and Campbells Bar . After about a mile you will go under a railway bridge – the entrance to the lake is just after the bridge on your left. 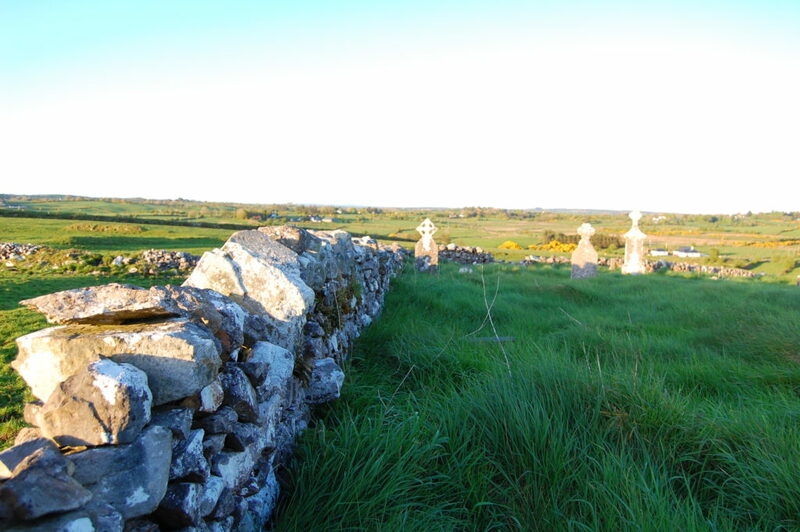 Cloonfad Scenic Walks provide a range of walking routes from Clogher on the Kiltevna Road to Cloonfad on the N83 between Dunmore County Galway and Ballyhaunis County Mayo, Ireland. In the heartland of Connacht, Ireland a forgotten landscape is being brought to light in the award-winning Cruachan Aí Visitor Centre. Cruachan is one of the most important and best preserved Celtic Royal Sites in Europe, and the medieval village of Tulsk, Co. Roscommon is the setting for the new centre. Contact Tel: 00353 (0) 907 21214 This is a unique parkland course near the centre of the town on the N60 route towards Ballinlough. It is a nine-hole parkland course with some attractive water features to keep an eye out for and a few tricky par threes.